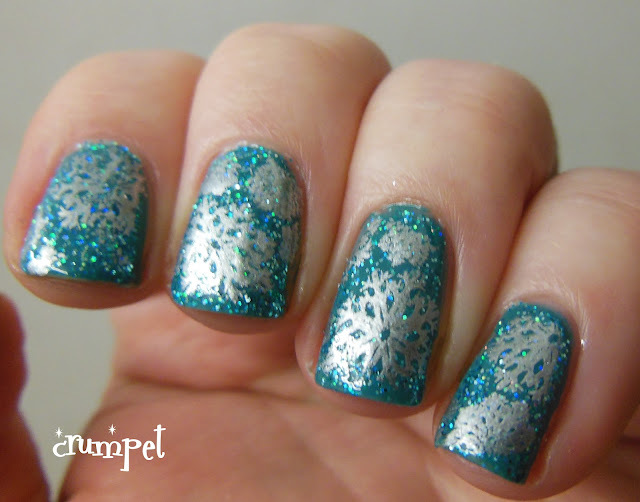 A short and simple nail art post today. You know I love to recycle my nails. 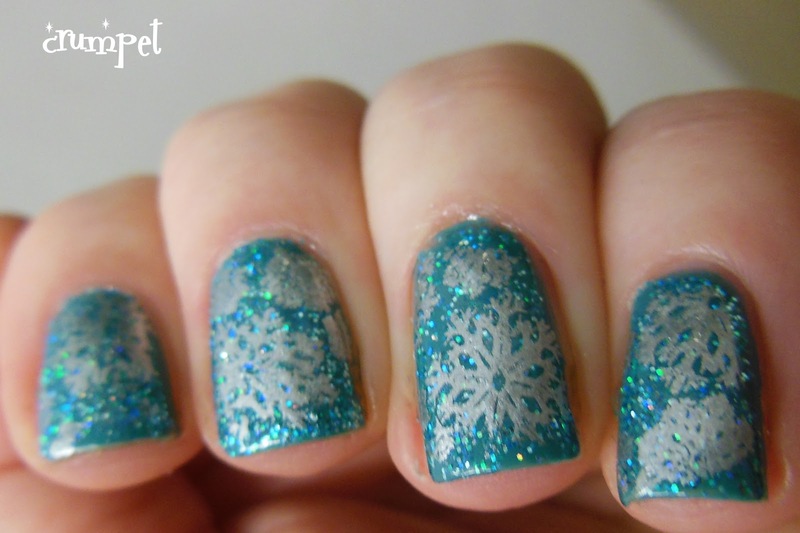 Well, a couple of weeks ago, when I was swatching Ninja Polish Caribbean Reef (over KIKO 387) and decided to stamp some snowflakes over it. I decided to keep the sparkly theme of the polish and go with silver, but now I wish I had gone with white for a better contrast. The stamping plate is LLC-A from Llarowe.